This unique wooden tea gift box is built of solid wood and has 5 compartments, 4 for tea and 1 for accessories such as spoons, tea leaves or sugar bags. The accessory compartment has 2 layers of trays. 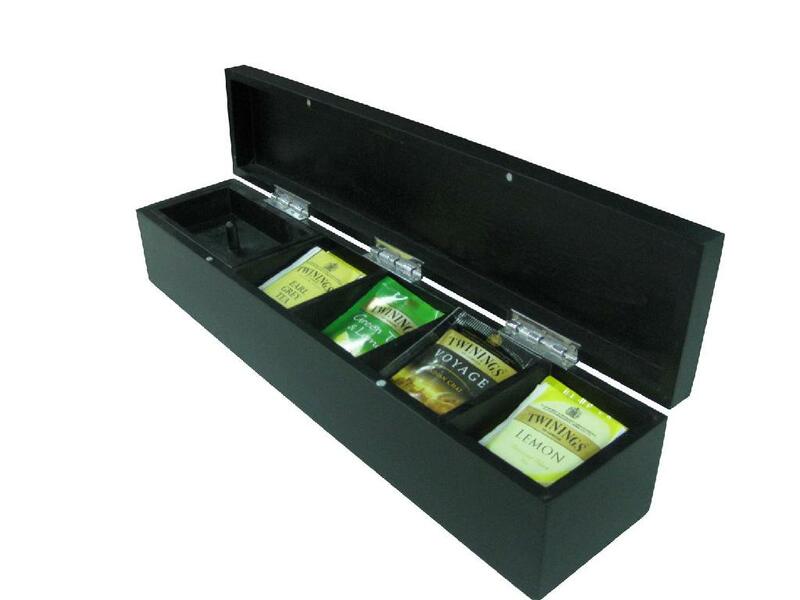 The entire tea gift box is stained with black semi-gloss and finished to perfection. We use three silver 90 degree hinges to hold the box open for display. Two magnets keep the tea box closed. We could easily silkscreen or imprint your logo on the lid or sides of the box in various colors if you wish.